Even before Zambians forget the corruption involving several Supreme Court Judges over the Stanbic versus Savenda scandal, some Supreme Court Judges have been named in another bribery scandal, this time around involving Lamasat International. 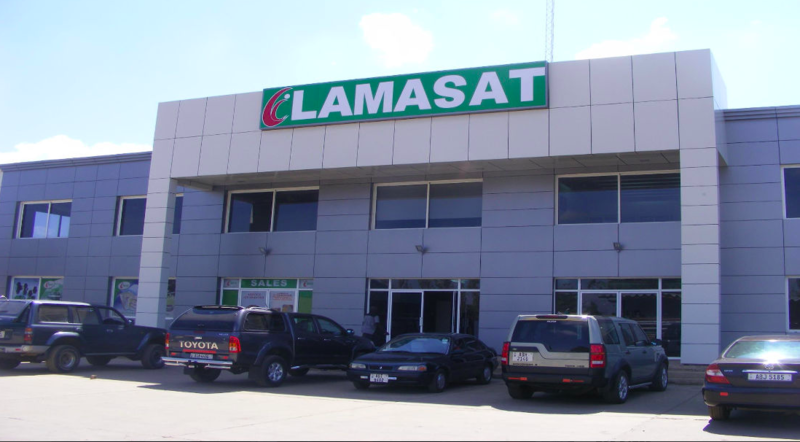 Lamasat International owes Atlas Mara US12million. A few weeks ago, the Court of Appeal found that indeed Lamasat owes Atlas Mara $12 million and has failed to pay back so Lamasat should be placed on receivership so that the bank can recover its money. But now the Supreme Court is in the process of reversing this Court of Appeal Judgment, after being bribed by Lamasat. The Supreme court has already issued a stay of prosecution against Atlas Mara. This means that the Bank through their receiver Mwenya Mukupa have been ordered to stop whatever processes they had been doing at Lamasat. By the way the Watchdog knows what games Mwenya Mukupa is playing also. According to sources, Lamasat through their lawyer Bonaventure Mutale have allegedly paid huge sums of money to three Judges in the Supreme Court to rule in favour of Lamasat International. The three judges named are Gregory Phiri, Evans Hamaundu and acting deputy chief justice Michael Musonda. On 7th March 2019, the Court of Appeal discharged an Injunction against the Receivership and entered Judgment on Admission against Lamasat for USD12,229,065.63 plus compound interest at 10% from 24th January, 2017 until date of Judgment, plus continuing interest until full payment. But the Supreme Court has now reinstated this injunction while waiting their final judgement. THAT IS THREATENING TO DEPOSITORS, THIS SHOULD BE BROUGHT IMMEDIATELY UNDER CONTROL BEFORE DEPOSITORS START RUSHING TO ATLAS MARA TO WITHDRAW THEIR MONIES. Are you mad to say Atlas Mara shall be saved? If Atlas Mara is not allowed to recover 12 million dollars plus interest, in total over 16 million dollars, it will make a run on the bank that will result in break up of banking system. Atlas Mara is owed 15 million dollars by Larry Sikutwa group (Madison Insurance, Madison Asset Management, Madison Leasing). Supreme Court in its judgment of January 30, 2018 did mention that if 13 million dollars (with interest and costs it shoots up over 15 million dollars) is not paid by LSK group companies, Atlas Mara will not meet capital requirements as stipulated by BOZ. What is the need of the hour, to save Lamasat and Sikutwa or Banking system? Obviously if Atlas Mara goes, Kwacha will shoot up to over K20 within a month of such happening. In the meantime, depositors shall not rush to bank to withdraw its money and BOZ shall support Atlas Mara in its endeavors to recover 31 million (K400 million) from these two rogue groups.